Japan released Tertiary Industry Index MoM and the US will publish Michigan Consumer Sentiment Prel and Import and Export Prices. 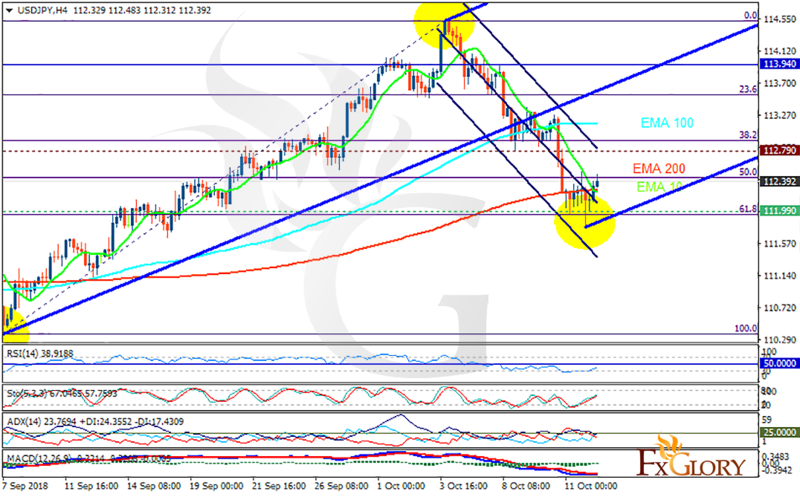 The support rests at 111.990 with resistance at 112.790 which both lines are below the weekly pivot point at 113.940. The EMA of 10 is moving with bearish bias in the descendant channel and it is below the EMA of 200 and the EMA of 100. The RSI is rising towards the 50 level, the Stochastic is showing upward momentum and the MACD line is below the signal line in the negative territory. The ADX is showing buy signal. The price reached 61.8 level of Fibonacci and completed the correction pattern and now it’s time to grow within Andrews’ Pitchfork towards 113.